Kunjkharak : From Here You Get A Magnificent 380 Km Broad View Of The Himalayan Range. A Unique Feature Of This Moist Temperate Forest Is The Khoola (Jhoola) Moss That Carpets The Floor Below. This Moss Absorbs Water And Helps In Retaining Moisture In The Forest. However, Due To Indiscriminate Extraction And Collection For Its Use In Several Cosmetic Products, This Moss Has Become Highly Endangered. Evenings Are Magical As The Setting Sun Transforms The Icy Himalayas Across Kunjkharak Into Gold. Since This Area Is Actually A High Pass, It Can Get Very Windy And Winter Temperatures May Drop To 0 Degrees, With Occasional Snowfall In The Area. Huge Rocks In Forested Ridges Make It A Good Place To Sight High Altitude Birds Like Lammergeier, Himalyan And Eurasian Griffon. Other Raptors You May See Are Tawny Eagle, Steppe Eagle And Kestrel. The Main Trail Runs All Along The Ridge To Vinayak. Though This Is A Motorable Track, Chances Of Coming Come Across Any Vehicle Are Very Slim Indeed. 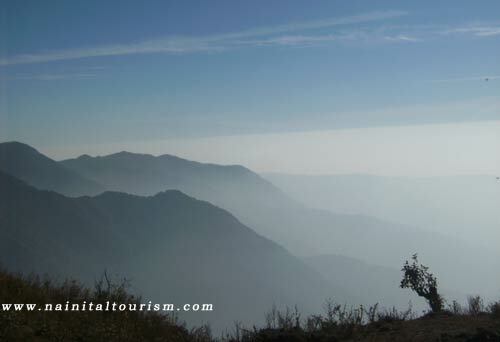 Barely A Kilometer After Kunjkharak You Get A Magnificent 380 Km Broad View Of The Himalayan Range. Nainital To Binayak (2225 Mts.) Via Pangoot. Trekking Distance 18 Kms. 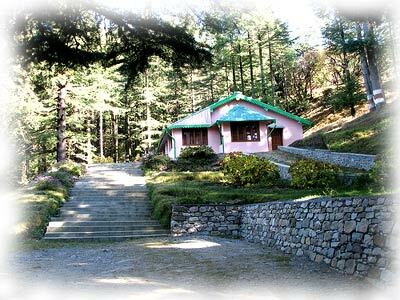 Binayak To Nainital. Trekking Distance 18 Kms. The FRH In Kunjkharak Is Situated On An Exposed Ridge And Is Therefore Freezing At Night - Suitable Warm Clothing Recommended. 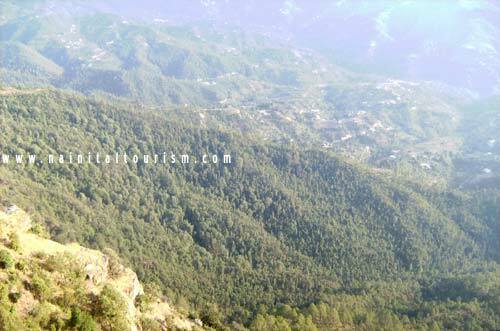 There Is A Kuccha Motorable Road From Kunjkharak To Nainital, And Should One Decide To Cut Short The Trek, It Is Possible To Hop Onto A Shared Taxi In The Morning On This Route. In Case You Walk From Kunjkharak To Vinayak, Make Sure To Have Thick Soled Shoes As The Pebbly, Hard Kuccha Road Can Bruise Your Feet.